Come across an interesting video that you want to download it on your iPhone so badly. Unfortunately, the site hosting the video does not offer a download service? Want to show community members how to use a specific application, but the current video editor software on your iPad is far from being able to meet your demands? 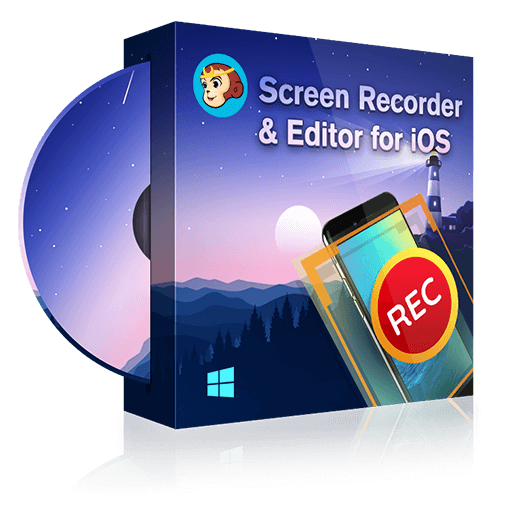 This is exactly where and when DVDFab Screen Recorder & Editor for iOS, the seamless combination of a handy iOS screen recorder and an advanced video editor software, comes to the rescue. It can help you capture any video (along with the audio) you like on the internet whenever download is not an option, or record everything happening on the screen on your iOS device, and then make professional video tutorials and presentations with in-depth edits, such as trimming, cropping, watermarking, adding PIP (picture-in-picture) effect, and more. Input: Video and audio streams from iOS devices, webcams, and computer microphones.